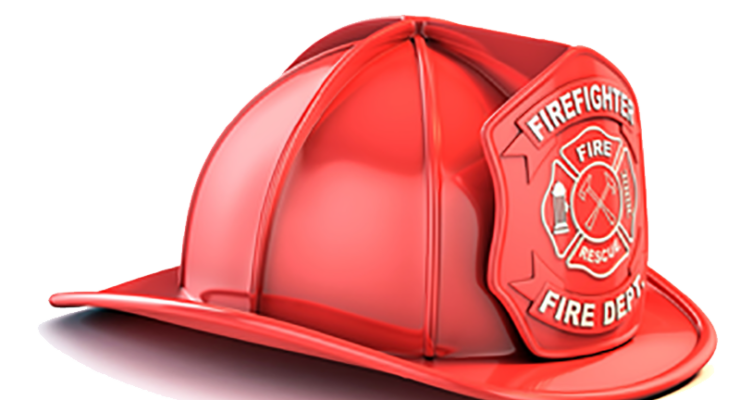 You can support the Salado Volunteer Fire Department during its annual Fish Fry 5-7 p.m. Sept. 9 at the Salado Intermediate School. Tickets are $12 for adults and $6 for children. 4:55-5:54 a.m., I-35 286 NB. Out for a Motor Vehicle Collision unknown injuries. Arrived on scene to find a pick up and a trailer on the side of the road with minor damage. Checked for injuries and found the patient sitting in the truck and had minor complaints and did not know if he wanted to go to the hospital. Patient was trying to call for a tire guy to come and fix the flat tires. BFD arrived on scene and took over patient care. BFD Medic ended up transported patient. Remained on scene until wreckers arrived on scene and removed the vehicles from the roadway. 3 units, 4 personnel. This weekend, you will have a chance to shop, eat and drink in Salado, have a little fun and support a great cause, too. 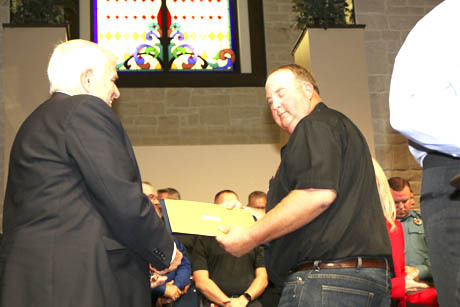 More than a dozen Salado businesses will be donating 10 percent of their sales to the Salado Volunteer Fire Department during the Shop for a Cause on July 23. 1:24-1:39 p.m., I-35 286 area Southbound. 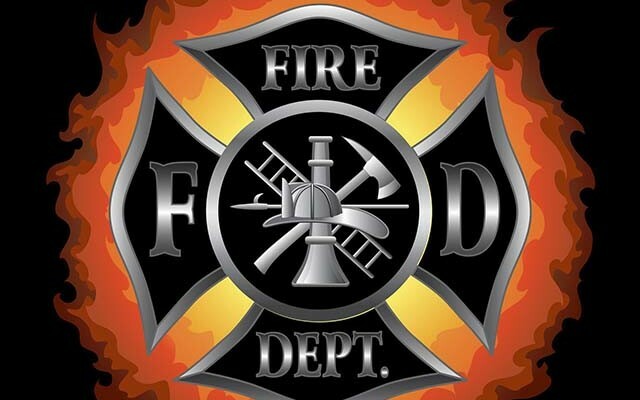 Dispatched to a possible Motor Vehicle Collision at I-35 286 MM. En route and dispatch advised that caller had not stopped and was still driving and was unknown where he/she was located. Found nothing. 1 unit, 7 personnel. 12:24-1:09 a.m., 282 NB Rest Area. Psych patient possible suicide. Staged with EMS until BCSO arrived on scene and gave clearance for arrival. 1 unit, 1 personnel. 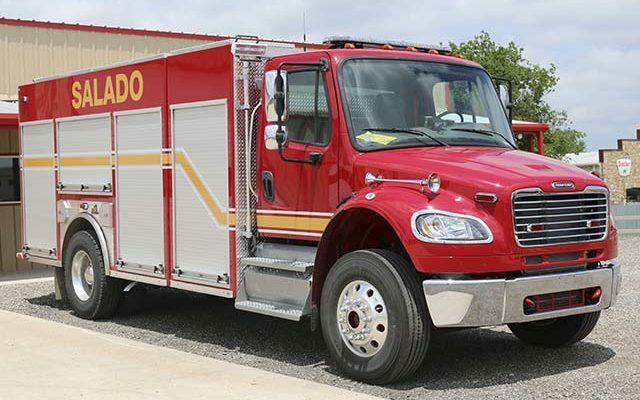 Salado Volunteer Fire Department lost its prime rescue truck this morning when volunteer Juan Castillo was driving it to the scene of an accident on I-35 in the Prairie Dell are at about midnight last night (March 30). 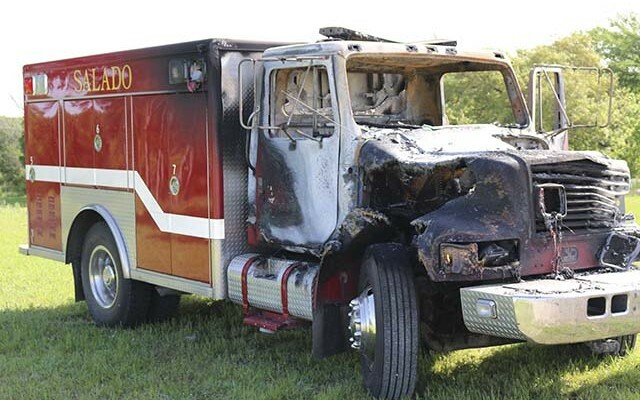 The engine began smoking and eventually ignited into flames and engulfed the cab. 1:02-1:51 p.m., 1600 Block Old Mill Rd. Out to patient with heart problems. Arrived on scene to find 75 year old female patient sitting on edge of bed. Patient stated she had upset stomach and did not feel well. Obtained and charted initial vital signs. Obtained patient history. Scott & White arrived on scene. Provided patient report and stood by while Scott & White performed more detail cardiac assessment. Patient decided on no transport. Documentation signed with Scott & White. 2 units, 2 personnel. 8:44-9:22 a.m., 700 Block Quail Ridge. Out to a patient that was weak and altered. Arrived on scene with BCSO constable. Patient was sitting on a chair in living room and complainant of lower abdominal pain. Got vitals on patient and charted them. Patient answered all questions asked and was aware. Arrived on scene and took over patient care. Scott & White transported. 1 unit, 1 personnel. 10:58-11:40 a.m., 11100 Block Stinnett Mill Rd. Out for a patient difficulty breathing. Arrived on scene to find patient sitting in chair on front porch. Patient was pale. Got vitals and charted. Patient advised he had just drove form Troy and had arrived and his knees got weak when he got out of truck and fell. Patient denied nay pain. Scott & White arrived on scene and took over patient care. Scott & White transported. 1 unit, 1 personnel. 3:58-4:27 p.m., 3500 Block FM 2484. Out to a possible heart attack at the Scott & White clinic. Arrived on scene to find patient in room with nurses. Patient was aware. Scott & White transported. 1 unit, 2 personnel. 5:10-5:29 p.m., 278 NB I-35. Out to a Motor Vehicle Accident rollover unknown injuries. Arrived on scene to find the accident in Williamson County with Jarrell FD and WillCo EMS scene. Cleared. 3 units, 10 personnel.